Everyone has their favorite places to stop on their way Up North! 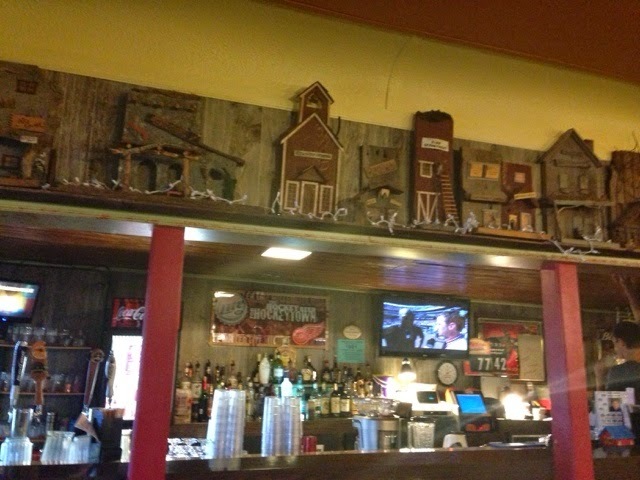 Our family loves a little place off I-75 that is between Gaylord and Grayling. It is in a tiny town called Frederic, and the restaurant is the Frederic Inn. 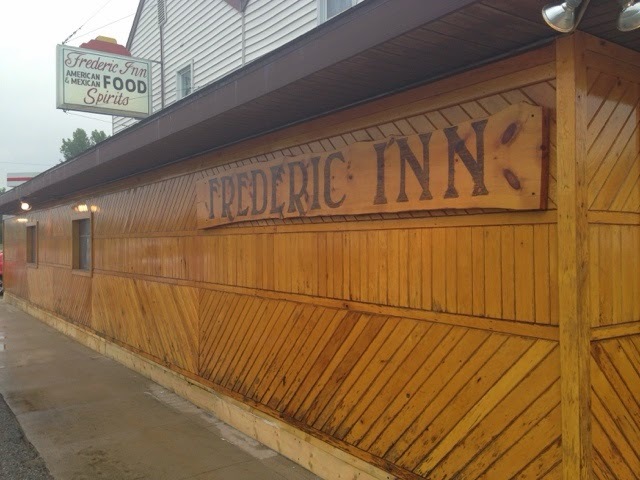 The Frederic Inn is a little dive that isn't much to look at inside. 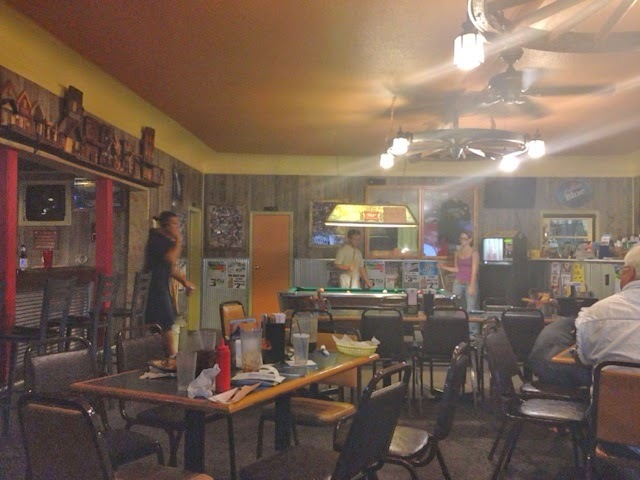 They have a pool table and a few tables, along with a full bar. The TV is on with the News or Sports. The staff is nice and seems like they have worked there for a while. Their menu has your typical bar food, but my family's favorite is the Wet Burrito. It is HUGE. In my family, it is enough to feed 3 people. They bring out Jalapenos, Salsa, and Sour Cream on the side so that you can personalize it. Inside the Burrito is chicken, beans, and cheese. LOTS of cheese! Seen here is the Chimichanga. It is the same as the Wet Burrito, except it is fried and crispy on the outside. It is just a big piece of comfort food. 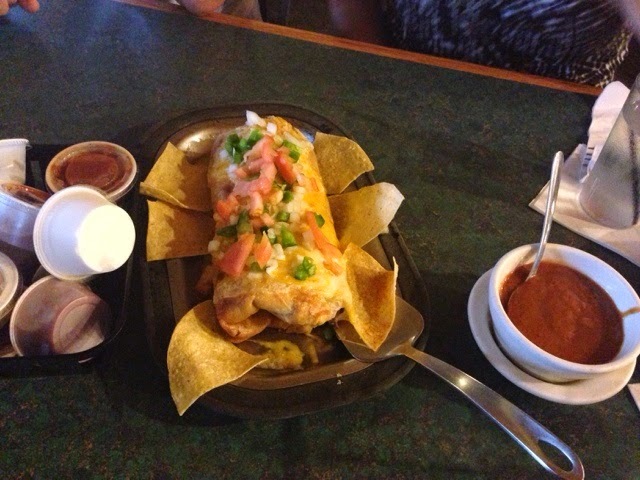 Check out The Frederic Inn on your next trip up north, and try out this big burrito for yourself!